Espace Ombrage offers you personalized solutions, adapted in your need. You want to distribute our products ? Become an Espace Ombrage retailer and benefit of preferential rates. We offer you a complete access to our catalog, the choice of the delivery (directly at your customer house or not) and a support in your most complex projects. You want to equip your customers ? 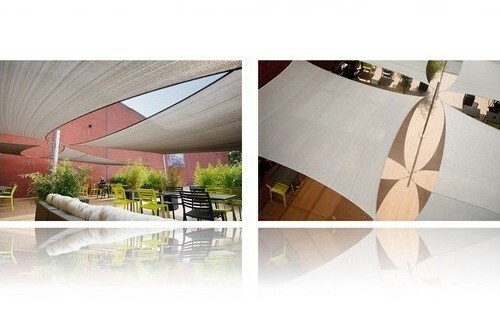 You are an architect or a landscaper facing the growing demand of shade sail from your customers? We propose you a study personalized for each of your projects (with 2D overviews), preferential rates and a kit of demonstration including many samples. You want to equip yourselves ? Hotel, bed and breakfast, school, restaurant... Contact the specialist of the shade sail and get an exceptional discount, a personalized study and a support throughout your project. Espace Ombrage collects personal data in order to manage your orders, commercial relations, and commercial prospecting. In accordance with regulations, you have the right to access portable data, rectify, erase, limit treatment, and oppose processing. These rights can be executed at the following address contact@espace-ombrage.com. For more info click here.